When we get a new client on board, it’s always great to open up an in-depth conversation about their SEM and Google AdWords campaign. Unfortunately, a lot of customers are new to the industry, meaning our AdWords consultants are back to talking shop amongst themselves. Your knowledge on the topic of Google AdWords doesn’t need to be first class – that’s what we are here for – but it does help if you are up-to-date on a few key terms. As an AdWords certified company, we want to ensure that our clients are starting off their campaign on the best possible note. Knowing just what our consultants are on about is a key step in your AdWords journey. So, after you’ve signed your AdWords management contract with us, why not settle in and go over the following key PPC terms. 2. 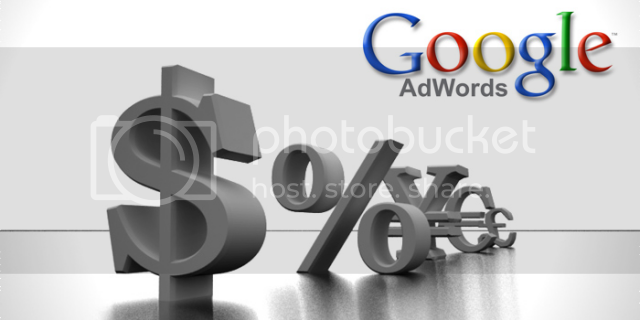 Ad copy: is the text that makes up your PPC advertisement. You only have approximately 140 characters to utilise in your ad copy. 3. CTR: Stands for click-through-rate. CTR refers to the frequency that your ad is clicked on by customers. CTR is calculated by dividing impressions by clicks. 1000 impressions / 100 clicks = 10% CTR. 4. Impressions: Impressions refer to the amount of times your ad shows up in search result pages. Impressions are key in determining your CTR. 5. Landing page: The page that your PPC advertisement is connected to. This page needs to be clean, concise and relevant to the information provided in your AdWords ad. 6. Bid: The amount you choose to bid to rank for each keyword. A high bid may earn you a higher ad position, but will also mean a high CPC. 7. Quality score: The way Google ranks its AdWords ads. Relevance, landing page quality and CTR come together to help determine quality score. 8. Ad position: Where your ad sits in the search results. #1 position is obviously best. #4 position puts your ad down the right hand side of the page. Some advertisers find this position beneficial. 9. Conversion: When a customer clicks on your ad and completes whatever CTA (call-to-action) you have on your landing page. This may be a form, product purchase or otherwise. 10. Social extensions: Google AdWords allows you to add Google+ statistics to your ads in order to make them more appealing. Worth noting if you have a G+ presence. To any AdWords certified company, the information above is base knowledge. It is important for clients to know these terms to ensure a steady introduction into the world of PPC is achieved. Read it, understand it, and you’ll be on the front foot as soon as your AdWords management contract begins. If you would like any more AdWords help, or would just like to chat PPC with our friendly staff, contact Jayson Rodda on 1300 76 00 84.